It is a pleasure to enjoy quiet, restful sleep. Sleep is part of God’s perfect plan for our lives. If we read the history of creation in the Bible, there is nothing to suggest that our ancestors Adam and Eve would not have slept. Sleep is a gift from God. Sleep belongs to His creation and the rhythm of life that God has provided. 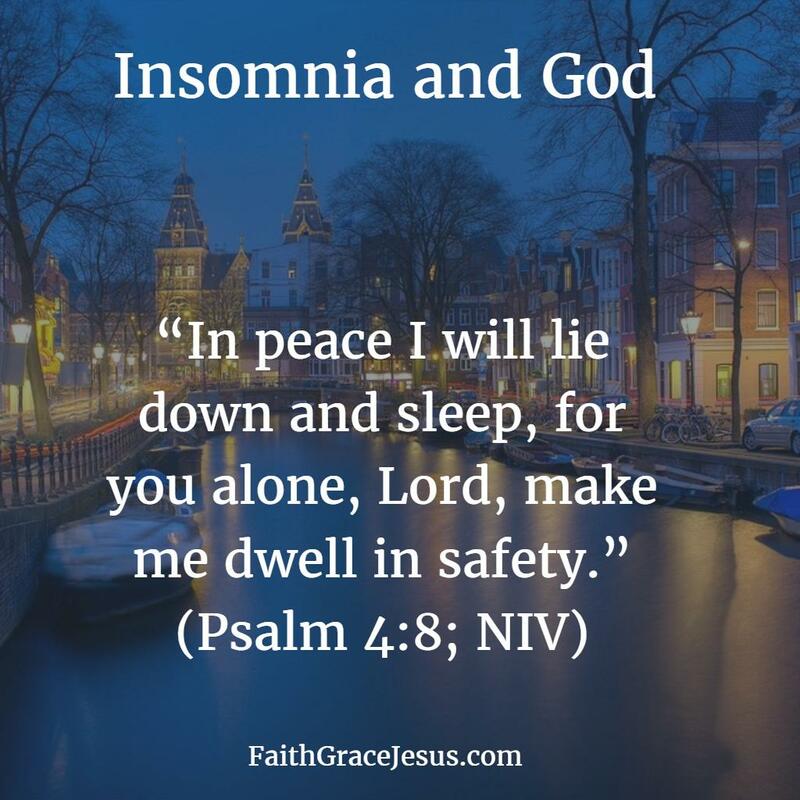 Sleep problems and insomnia are often caused by feelings of guilt for our sins. But these feelings of guilt are compeletely unnecessary. For Jesus carried all the condemnation and all the punishment we deserved for all the sins we, unfortunately, commit from time to time. We are free through Jesus; We are reconciled with God forever (even if we still sin). Think about the undeserved and powerful grace with which God and Jesus have met you and brought you back into the family of God. You can sleep in peace. God cares and takes care of everything for you. But I have no feelings of guilt. And yet I sleep badly. Look for another apartment. It is just too loud to live directly above the disco.